The feet and legs remain parallel and united. This position demonstrates the teacher that the student is ready and attentive to your commands. Position of attention. 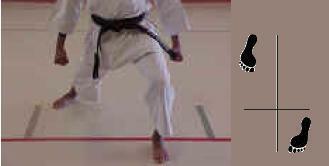 The Musubi dachi is the position used for greetings and bows. 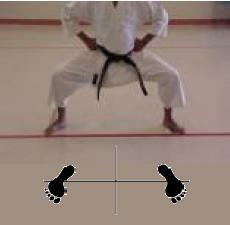 This position is formed from Heisoku dachi, keeping together the feet and legs, with the legs at an angle of about 45 °. Pernas Pés and parallel, shoulder width. This position is formed from Musubi dachi, raising and aligning the heel to the toe. Pernas parallel, shoulder width; point 45 feet out. 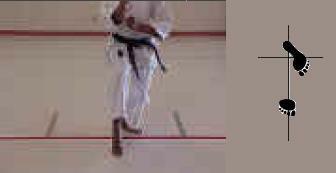 This position is formed from Heiko dachi, directing tiptoe around 45 out. Parallel Pés, approximately twice the width of the shoulder, weight distributed evenly with. It is a stable position that favors the strengthening of the legs. Feet shoulder width apart, knees slightly bent inward. 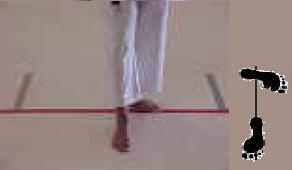 The heel of front foot aligns with the tip of the toes back, and toes pointing slightly inward. The back should be straight and the pelvis rotates forward slightly. The Sanchin dachi is a very stable position that facilitates the movement both in the left-right and front-back, and let the fighter in a comfortable position to rotate the waist and subjected to beatings with hands and legs. Flectida the front leg and leg stretched behind. 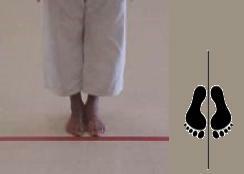 The distance between the front foot and rear foot is approximately shoulder width. 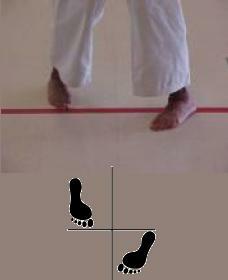 The distance between the front foot and back foot is approximately the double shoulder width. This position can be obtained from Musubi dachi. 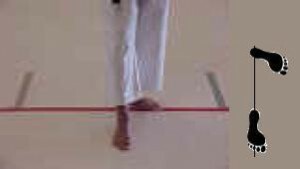 &nbsp;The front foot is removed from the back foot at a distance that equals the length of the foot.&nbsp;The rear leg is slightly bent and stretched front, slightly raised with the foot. The weight distribution of about 70% a 80% for the leg backwards and 20a a 30% to the front leg. The pelvis rotates forward and the back should be straight. 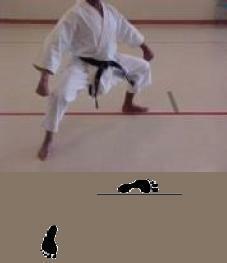 Position similar to Neko ashi dachi, but with both feet on the ground. It is used as preparation for the Neko ashi dachi. &nbsp;Position of feet in the shape of 'L'. 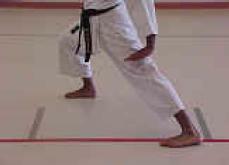 &nbsp;This position is obtained from Zenkutsu dachi. 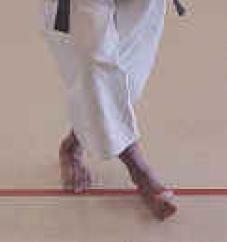 &nbsp;This position can be obtained from Sanchin dachi. 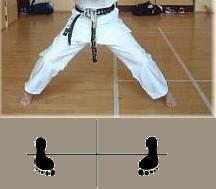 The front foot is to cross the front knee and back knee is based on.